Just so you know what side of the fence I’m on I LOVED this film. I thought it was a great continuation of the franchise, full of unexpected moments and drove the series in a new direction. I can’t wait to see how it all goes down in Episode IX and I’m even more excited for Rian’s new trilogy. I’ve got be honest, after watching this movie and then having no internet for weeks, I was shocked to emerge to find that there had been some backlash against this movie. Sure I had some nitpicks about the film but the film was full of great moments, all the characters had an arc and grew through the movie. I thought the plot with the ships slowly being hunted was a great structure, it reminded me of a western or Wilbur Smith book, with the goodies being slowly but surely pursued through a valley by a stronger but slower force while a few brave heroes branch off to try and get help. 1) Ackbar and Phasma’s deaths. I get why Ackbar died, I don’t mind that he died when he did. 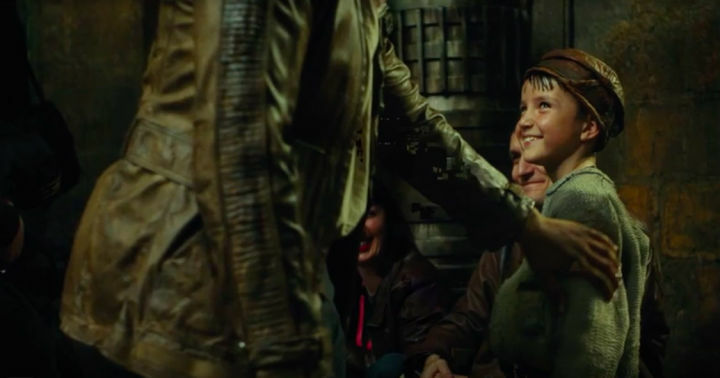 In the situation they were in fans, including me, would be expecting Ackbar to get them out of it or turn the fight around, maybe sacrifice himself in Holdo’s place – but the movie is all about the new characters and I’m ok with that. My only problem was that his death was off-screen, I would have liked to see him die, maybe taking a final shot at the First Order or sealing a bulkhead to save other crew, something a bit more heroic. Or even just a bigger reaction to his death from the other characters. Phasma I just felt was sold short, especially after the big push they’ve made in making Phasma books etc. 2) Snoke and Ach-To. Rian Johnson has come out and defended why they didn’t go into Snoke’s backstory; it just wouldn’t fit seamlessly into what is already a very long film. That said, I hoped we would learn more about him in the film, or even in the Visual Dictionary, and not in the inevitable tie-in novel that will fill in the gaps. As for Ach-To I felt that we could have had time to delve more into the origins of the Jedi and that it could have fitted into Luke’s lessons to Rey. The whole location was a huge setup and I thought that Luke was going to show the original teachings of the Jedi and how they needed to go back to them. Something like that could have fitted into one of his lessons but instead it wasn’t referenced at all. It didn’t stop me enjoying the film but I felt it could have been done. I tried to find an image of the Libertine because, to my mind, it is the ONLY ship or vehicle that wasn’t revealed either in a trailer, App, LEGO set or on one of the reveals on Starwars.com. I found this disappointing because I like being surprised by new designs as I watch the movie and then researching them afterwards. Also it lessened their impact – a main example being the Dreadnaught (above). The reveal showed us this ship and we immediately pick it apart, complaining about it’s flat shape. When it appeared in the movie it looked AWESOME, and Poe and the Bombers flying along it’s flat surface was a great set-piece – it just would have been better if we’d never seen it before. Seeing the puppet back was awesome, his wisdom and humour were spot on. What I really loved though was seeing an example of what ‘more powerful than you can possibly imagine’ actually looks like as Yoda summons a lightning bolt wiuith very little effort!! OK, apart from maybe Phasma and Ackbar! I loved each of the new cast going on their journey. Poe learning to be a real leader, Finn learning that the cause is bigger than him, Rey’s sheer joy at experiencing rain was a lovely moment too. Other characters had good key moments, more than in the Force Awakens – I liked that 3PO was used well, R2 only had one scene but it was a good one and Holdo’s sacrifice was just epic. I also liked DJ and the fact that he betrayed then to save his own skin rather than for profit. I was going to be arrogant and say I predicted that Snoke would die, but what really I thought was “I’d love it if they did something crazy like…” and even then I thought something like that would happen only at the end so it still came as a surprise when Kylo bisected him. 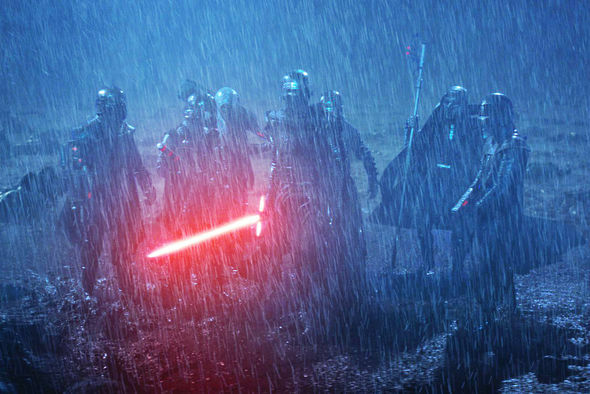 Everything that followed was amazing; the Praetorians clearly would have wiped the floor with Kylo or Rey individually, even as strong as they are in the Force and that fight scene was just epic. Kylo begging Rey to join him and his motivation for wanting to wipe the slate clean was really well done. Wow! Luke’s appearance on Crait was awesome, seeing him stand up to the First Order onslaught then dust himself off was hilarious and the revelation that he’d projected himself from across the galaxy was really well done with the final moment showing that it was the appearance of the Jedi that would inspire the galaxy with hope even as the Resistance crumbled down to a small handful. These aren’t preditions, but things I would like to see in the final installment of the trilogy, but I’m happy to be surprised as much as I was by this film!! I think we just have to see who these guys are in the next film. With Kylo cementing his position as dark leader, surely we have to see some of his dark knights. I had hoped in my head that Maz would be the ally they mentioned and bring a rag-tag pirate/smuggler fleet to help the Resistance. I still have hopes for something like this in Episode IX, and maybe have her train to use the Force more. If not her maybe a wider alliance of people banding together.